The second annual Lion's Den event in the DFW Metroplex highlighted 10 different entrepreneurs demonstrating their vision, business model, and passion to deliver a business with a Kingdom impact. Three of the companies who pitched have already reported that they received 6 figure investments. Real businesses are finding real investors and are making real impact! Praise the Lord! Click here to watch the event day recap video. The event has two primary goals. 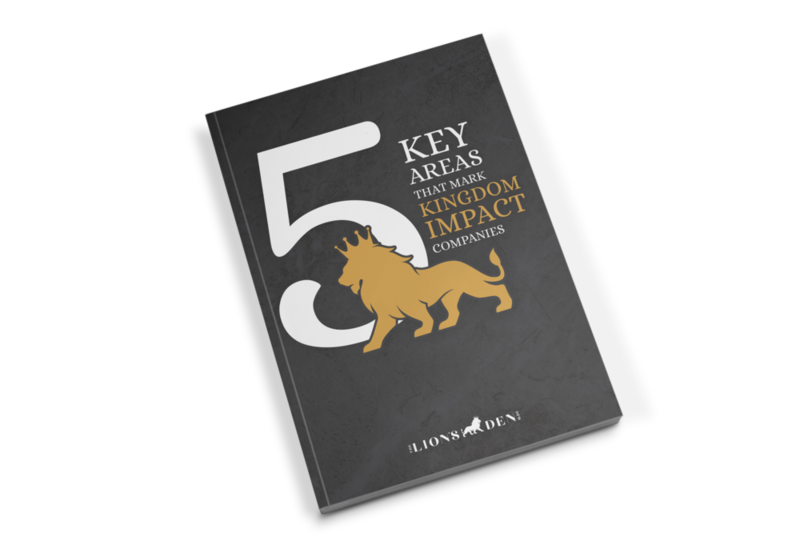 First, to see Kingdom-minded businesses which are looking for capital connect with Kingdom-minded investors who want to invest in companies with financial potential which are also impacting the world for Christ. The second goal is to inspire, educate, and mobilize Kingdom minded individuals to put their time, talent and resources into Kingdom minded business ventures. Over the past 2 years of this Dallas Baptist University based event, several million dollars have flowed into some of these business opportunities providing needed capital from Christian investors as reported back from the companies. The Breakout Sessions were a new opportunity this year for attendees to learn more about Christian Impact investing, Entrepreneurship, Millennials in the workplace, and what the Bible has to say about business. Many of the classes were packed to standing room only during both morning sessions. The Exhibition Hall provided a wonderful opportunity for investors, students, and other attendees to interact with the pitch companies and sponsors. The Pitch companies were tremendous once again this year. Some of the featured entrepreneurs included: a new Christian movie, a Church based children’s preschool academy, Coconut oil produced in the Philippines, cashew nuts harvested in Mozambique, an animated Pilgrim’s Progress movie, an improved mosquito repellant, an architectural 3-D printing machine for construction materials, a pocket sized water purifier, and new athletic-wear clothing. Main Event Audience Favorite: Sunshine Nut Co. Overall Most opportunity for Profitability - Sunshine Nut Co. Learn more about all The Lion's Den DFW 2017 companies at www.TheLionsDenDFW.com and see videos about them on our youtube channel and facebook page. The panel of experts came with top tier experience in their fields. Click here to learn more about them. Silver: Cherry Petersen Landry Albert LLP, Guidestone Financial Resources, Impact Foundation, Business as Mission Training, Eventide Fund Management, and Zoe Communications Agency. Overall it was a wonderful event and we continue to see results come in. A quote from an out of town participant to the recent event….“You guys did a first class job in facilitating Lion's Den Dallas. It was a great event, and a lovely location. I had not been on the campus before. My wife and I thought the campus was breathtaking.” Ray Barreth - CEO Agora Enterprises.